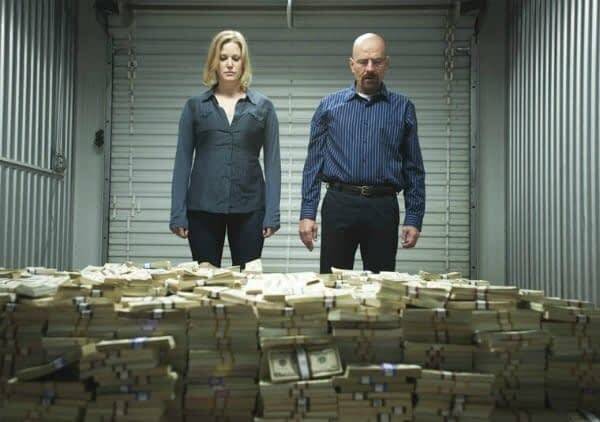 It’s interesting to watch how Breaking Bad has become a cultural talking point, the biggest since The Sopranos. Walter White is an even more insidiously identifiable protagonist because he snuck in under many viewers’ radar by appearing to be a suburban everyman before revealing just how ruthlessly evil and controlling he is after seeming to be a sympathetic middle-aged man living in the kind of quiet desperation that many people can easily recognise in themselves. 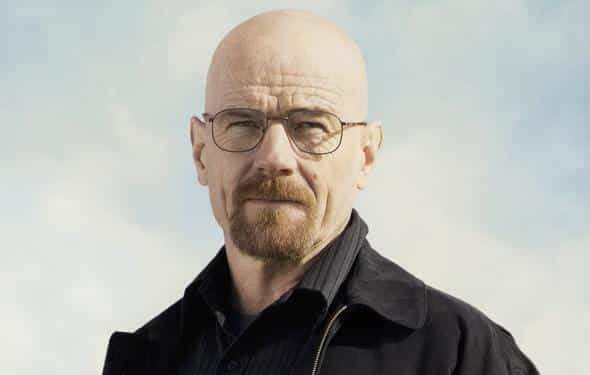 Unlike Tony Soprano, who was born into organised crime and trying to live a middle-class family life, Walter White is a middle-class family man who becomes a gangster, a kind of fantasy that many people have, especially those who enjoy gangster stories. I’d been saying for years, since Season One, that this show was really “Macbeth in American Suburbia”, and creator and showrunner Vince Gilligan pretty much admitted in an interview on BBC Radio Four some weeks ago that he and his writers have been drawing on Macbeth as a reference point throughout the series. Novelists and screenwriters are often encouraged to draw on the classics to add layers to their own stories. After all, why not steal from the best? And you could say Shakespeare is probably the greatest screenwriter who ever lived (even if many of his plays would be considered first drafts that need work). To lift from classic stories like Shakespeare doesn’t always mean slavishly copying the plot so much as the spirit or the themes of the story. Sons of Anarchy lifted liberally from Hamlet throughout its run. Screenwriting lecturer Robert McKee has presented a convincing case for the way Chinatown references Oedipus Rex. Breaking Bad does not copy Macbeth but uses its archetypes and motifs throughout all five seasons. Macbeth was a man who was spurred by a supernatural force to pursue power through murdering a king. His wife encourages him, and he finds he can’t stop murdering people to stay in power until he gets his comeuppance. On twitter, comic artist Faith Erin Hicks suggested that Walter White’s cancer stood in for the witches that spurred him to embark on a life of crime. That was how viewers were lulled into sympathy for him, a seemingly ordinary man with financial worries who decides to break the law to provide for his family. But that only hid his true colours: he was not that ordinary – he had epic levels of pent-up rage, frustration and entitlement for years over having losing out on a partnership on a major business venture when he gave up his share of the company. That became a clue to how ruthless he was going to become once he got a taste of the power that comes from being the head of a criminal enterprise. He felt hard done by the world and didn’t get his full due. That frustration was still relatable for when he becomes full Macbeth. It was fun to spot the other references to Macbeth as the show went on. Their Duncan didn’t show up till the second season in the form of drug kingpin Gus Fring, who became a formidable adversary for Walt as he was smarter and deadlier than Walt ever hoped to be. It took two whole seasons for Walt to finally out-strategise and kill him, cementing Walt’s lust for and rise to power. No Macbeth take-off would be complete without its Lady Macbeth, and of course, that comes in the form of Walt’s wife Skylar. While she doesn’t have the drive to persuade her husband to murder the king as Lady M. did in the play, she did agree to help him with laundering his drug money, but then became overcome with horror and guilt in her complicity and even has the equivalent of Lady Macbeth’s breakdown in season five with her scene at dinner where she walks into the swimming pool. By now, in its final season, Skylar has reverted to full Lady Macbeth mode out of a sense of desperate self-preservation as she and Walt feel under siege from Hank, their DEA cop brother-in-law who has sussed out Walt’s criminality. Just this week, she has even suggested to Walt that he should kill Jesse Pinkman, Walt’s partner and surrogate son. I assumed the Macduff in this story would be Hank, since he was the cop on the hunt for the drug kingpin who turned out to be his own brother-in-law, but it looks like Macduff is two people here: Hank and Jesse Pinkman. Where Macduff wanted revenge on Macbeth for murdering his family and his children, Jesse now wants revenge on Walt for poisoning his girlfriend’s son. It’s a fun game to spot the Macbeth references in the show, and they help lend additional emotional and moral complexity. The most interesting thing about the show is how many viewers are still sympathetic to Walter White and want him to get away free, despite the monstrousness of his acts and the extent he lies to everyone, including himself, to justify his actions. It’s particularly notable how much people hate Skylar so much that they sent death threats to actor Anna Gunn, considering Skylar wasn’t murder over a dozen people. They don’t seem to accept that Skylar is a character who is dealing with a terrible situation she’s trapped in as best she can, yet they continue to support Walt for all the deaths and horrors he unleashed on the world. It’s fascinating to me that a kind of generalised misogyny should be triggered by a popular TV show in a way that none of its makers ever intended, and how it reveals the weird double standards that society holds men and women up to. It just goes to show that pop fiction can become litmus tests for social attitudes, and the Lady Macbeth Syndrome is in full force here, to everyone’s surprise. Certain archetypes still carry power. To get the full cultural experience, you don’t just watch the show. You watch the watchers too.